The term person-centered planning is used to describe a transition planning process for supporting an individual or group in a positive and collaborative manner. The process focuses directly on the client’s strengths and capabilities. A successful plan results in the development of a personally meaningful vision for the future and a viable action plan for getting there. Learn more about the steps in the process on our Services page. 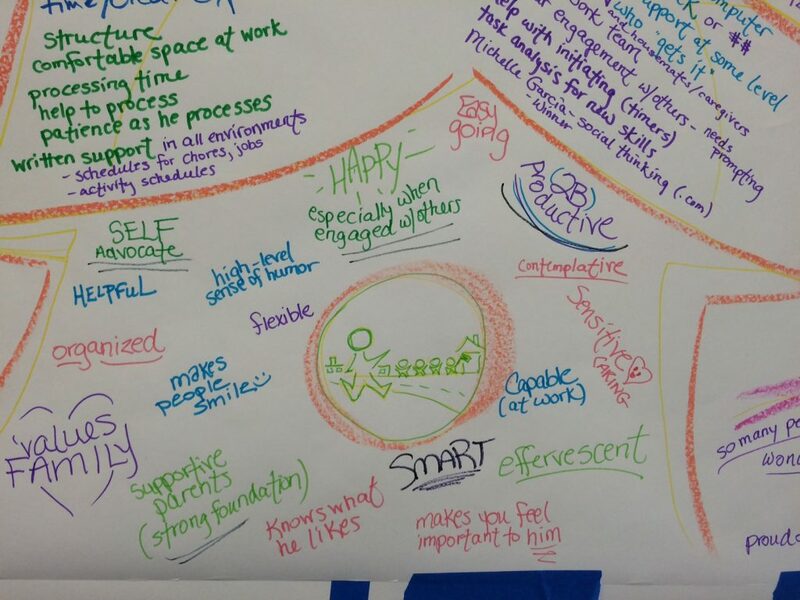 Who is Person-Centered Planning for? People with and without disabilities may benefit from engaging in this creative, collaborative planning process. Families, organizations, career-changers and others facing new transitions may also benefit from engaging in this approach. PCPP staff members have experience facilitating the process for a variety of different situations. Please check out our Resources page for more information, history and news regarding person-centered planning around the country.